also what's the deal with the MA moped regs...can you register a 49cc scooter as a moped and not have to insure/plate it? Last edited by Point37; 09-10-18 at 12:33 PM. Yeh, you have to register and insure it, but at least you’re not a traffic hazard. Comfortably goes 45, will stretch it’s legs to 55 stock. Is Zuma street slang for Busa? If yes, then Zuma. Big Rukus is a two-fiddy. All 379 pounds of it. at what age are vehicles exempt in MA? 3 The previous registration and bill of sale for vehicles that are exempt because of their age. Find an older 2 stroke, 50cc Zuma. Same speed as the new ones, no registration hassle. This. I had the 49cc Zuma for a few years. With a couple cheap mods I was doing about 45 and rolling with traffic. No reg, no insurance, no excise, no inspection. 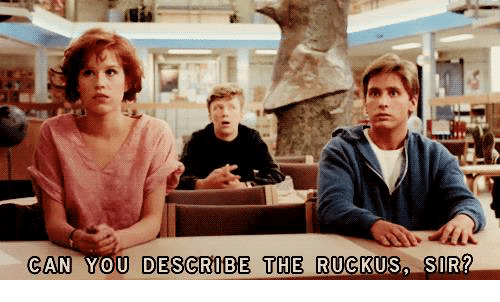 Can you describe the ruckus sir? 40 miles an hour can be registered as a motorcycle. inspected and registered with a motorcycle plate. Last edited by Point37; 12-18-18 at 09:35 AM. From my experience and friends experience...under 50cc and you have no problem getting the simple registration sticker. No insurance, no LUV plate, nothing. Its basically a bicycle to them. It doesn't perfectly fit in the rules, but no one is checking. IIRC, I had to sign a paper saying it was not capable of speeds over 25mph....pretty sure there's no reciprocity on this one. That limited use thing is a game changer, I paid $40 for a 2 year sticker. probably this form below...yea the limited use thing is screwing things up for any model the rmv considers to be on it's list or goes between 30-40mph (link in post #11)...both the ruckus and zuma are 49cc engines but the zuma is a moped and the ruckus is limited use?...is one noticeably faster than the other? Last edited by Point37; 03-02-18 at 02:51 PM. Last edited by Point37; 03-02-18 at 05:37 PM. Zuma 50 2-stroke or Zuma 125. The downside to the mopeds is they are stolen like crazy around here, at least. In Boston Ruckus is super popular. Tons of customized versions as well. Neat looking machine. At one point Honda made a [250cc] “Big Ruckus” and those are now sought after. A friend of mine commutes to Cambridge from Brookline almost year-round on a Ruckus, and along with being stolen (and recovered through a bizarre set of circumstances) he’s finding getting passed all the time increases the risk. The flip side is using bike lanes, ease of parking and low fees. Nor do the 49cc machines require a motorcycle license. Another popular model in Boston is the Honda Metropolitan, a Vespa-looking machine. They’re only a couple hundred more than similar Chinese brands. I believe the Aprilia SR50 has fuel injection. I think most of them get 70-80cc kits in short order. Last edited by Garandman; 03-03-18 at 03:40 PM. Last edited by Point37; 03-03-18 at 03:28 PM. Last edited by Garandman; 03-03-18 at 03:46 PM.